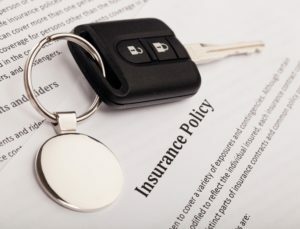 What happens when a Certificate of Automobile Insurance specifies that the policy includes coverages under certain endorsements, when those endorsements never make it onto the policy? Ontario’s standard automobile policy (OAP1) offers a number of forms and endorsements that FSCO approves. One such form is the Certificate of Insurance, which is an approved form that sets out, among other things, the specific terms of coverages and endorsements that form part of the policy in question. Although the standard Certificate is approved by the Superintendent of Insurance, insurers are allowed to submit their own version of a Certificate for approval, something that many insurers do. An OPCF 23A endorsement provides for payment to a lienholder in the event of damage to the vehicle. An OPCF 5 endorsement allows the lessor to rent or lease automobile(s) to the lessee who has completed the Ontario Application for Automobile Insurance – Owner’s Form (OAF 1). The endorsement expressly allows a lessor to rent or lease a motor vehicle to a lessee who has its own auto insurance policy. It also provides the standard auto coverages to a lessee under the policy as if the lessee were the named insured. On June 15, 2012, 622 leased two more tractors, this time from Coast Capital. Coast Capital had informed its insurance broker in writing that it wanted third party liability coverage in the minimum amount of $2,000,000, and indicated “The policy must contain an OPCF #5 Permission to Lease or Rent Endorsement.” This document was found in Old Republic’s underwriting file. However, there was no evidence as to when it received that document. On July 5, 2012, Old Republic issued an OPCF 25 Change Form showing 622 as the insured, and listing the two new Peterbilt tractors. The new tractors were identified as automobiles 2 and 4. The policy change that was noted on the form indicates “Automobile added to policy (Auto No. 2 and 4)”. The OPCF 25 also listed Coast Capital as the lessor of vehicles 2 and 4. It also recited that “all other terms and conditions of the policy remain the same”. Of note, the OPCF 25 listed other related Endorsements that were mentioned in the original Certificate but failed to mention the OPCF 23A or 5 forms. On November 12, 2012, one of the 2009 leased Peterbilt tractors (auto 2 or 4) was involved in a motor vehicle accident. Old Republic denied liability coverage to Coast Capital, taking the position that the OPCF 5 was not part of the policy. The application judge held that the policy included an OPCF 23A form but did not contain an OPCF 5 form. He held that the OPCF 5 was never part of the Certificate of Insurance or added by the OPCF 25 form. The Certificate in question was not on the default Certificate form approved by the Superintendent, but it was on a FSCO approved form that Old Republic had submitted for its use. The Court noted that Old Republic had added the phrase “AS PER OPCF 5 FORMS” to the original Certificate in this matter, but that the phrase was not included on Old Republic’s approved form. The Court held that if Old Republic added the reference to the OPCF 5 on the Certificate in this case, the Certificate must have intended to include coverage for lessors and lessees – even though the actual OPCF 5 form was not attached to this policy. Further, had Old Republic included the phrase “AS PER OPCF 5 FORMS” to its approved Certificate, it would mean that its usual practice was to insure both lessees and lessors (as the OPCF 5 would do). The court concluded that if there was any ambiguity, it was caused by Old Republic’s uses of an “unapproved altered standard form”, and it would have to bear the consequences of doing so. I conclude that the OPCF 5 endorsement is part of the Certificate; the insurer intended to provide liability coverage to both the lessor and lessee. The OPCF 25 Change Form did not delete that coverage, but added new vehicles. Absent deletion of the OPCF 5 coverage, I conclude that Coast Capital is entitled to the benefit of that coverage. Old Republic’s insertion of the OPCF 5 language into the Certificate accords with the commercial reality of the transaction. Old Republic was providing automobile insurance to a trucking company’s fleet. The trucking company leased multiple vehicles, to the knowledge of the insurer. It makes commercial sense for the lessors who were financing the purchase of the vehicles to protect themselves from liability as the owners of those vehicles when they would have no control over the trucking company operations. There is nothing in the Certificate that suggests that the liability coverage described in the policy is solely for the benefit of the lessee. The major takeaway from this case is that the Certificate of Insurance governs coverage under the policy. If the Certificate references a particular Endorsement on the policy that is not necessarily attached to the policy, the Court will defer to the coverage specified on the actual Certificate used in the case to determine coverage. Insurance companies that insure leased/rented vehicles – and leasing/rental companies that lease/rent vehicles to others — should review their various Certificates on a case-by-case basis to make sure they contain the coverages that the parties intended to be covered.